In 1993, we moved to Spilia and soon set up a small restaurant in the village. As time passed, we found the need to offer accommodation, for our customers and the idea to build a small Hotel was born. 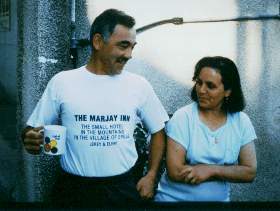 The Marjay Inn in Spilia was built in 1993 on the foundations of my wife’s family home. The Hotel was built by us and the assistance of our family. 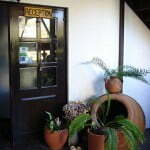 It is now open all year round and what we do is to offer something different from the normal hotels. This is a family run Hotel whereby, my wife Eleni does all the cooking, cleaning, and I, Jerey, operate the administration and maintenance of the building. Welcome to the Marjay Inn! Because the Hotel is small we are able to look after our guests on a more personal basis and fit in with their needs and requests. As Eleni and I sit and read through our Visitor Book we see a wide and varied clientele from all parts of the world. We believe that part of our success stems from our policy towards our guests, maintaining the same prices to all guests, throughout the year. 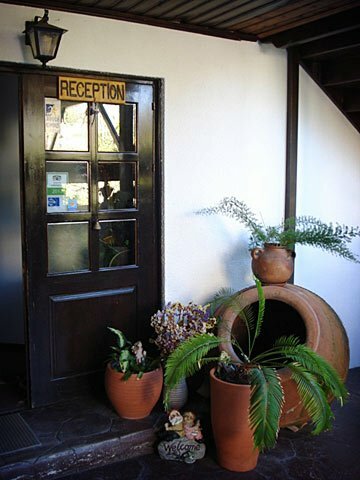 The fresh air, fresh food and good village wine has helped our guests enjoy their time at The Marjay Inn. The hotel was partially renovated in 2010.